At The Hub at Auburn, we know it's important that you find the perfect fit when looking for student living near Auburn University, Southern Union State Community College, or Tuskegee University. 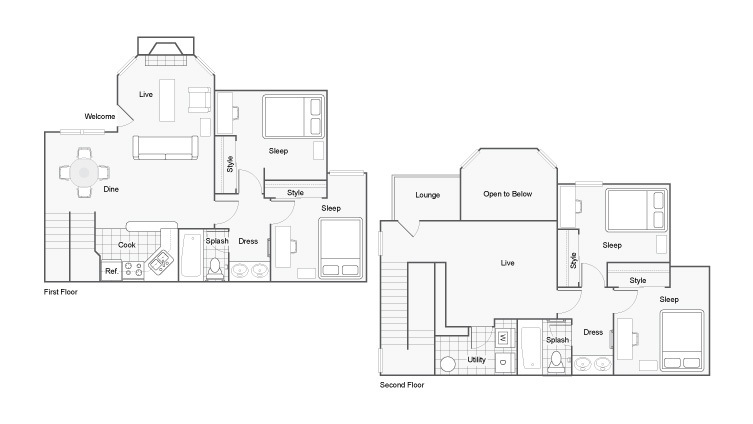 That's why we've developed several living space options so you can find the right match for your lifestyle. Find a the plan that's perfect for you and bring roommates, or use our complimentary roommate matching system to make new friends along the way! 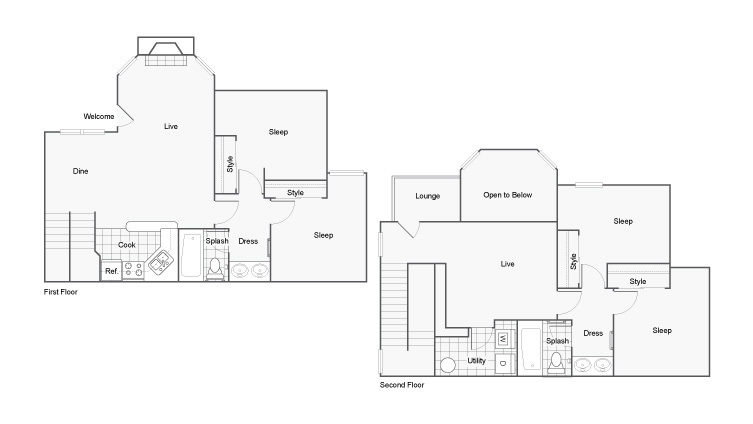 Check out our various two- and four-bedroom floor plans to find the price and fit that's right for you! 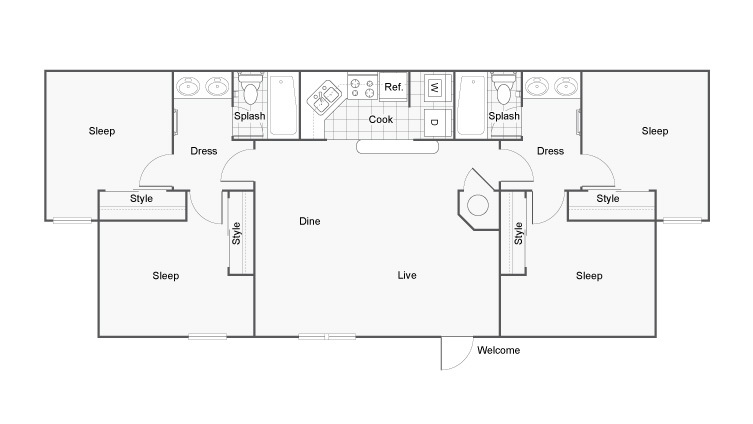 The rent reflected is per individual lease/per bedroom space and includes cable, internet, and pest control. 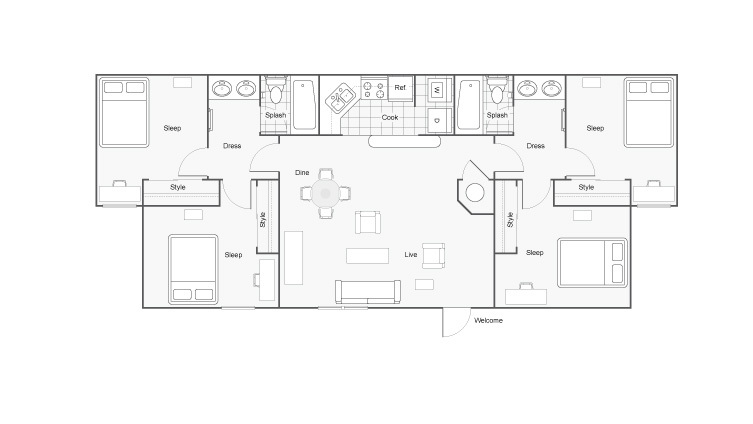 Our floorplans come unfurnished or fully furnished at your option. Rent a room with roommate matching or explore the option to upgrade to a full apartment rental! Call our office to inquire about availability, schedule a tour, or apply online today! Valid From : Mar 04, 2019 Apply Today Using Code LIVEHUB to Waive Your Application Fee!